High Mountain Events Company (HME) is an equipment rental company specializing in silent disco and pop-up cinema. HME will arrive before your event to set up the equipment and provide training/guidance on its use. Our staff typically does not stay at the event, but is available for support if needed. You will be able to connect your devices (smartphone, MP3 player, laptop, etc.) to the HME equipment and have full control of your music, movies or sports event. HME will then return at an agreed upon time to break down and collect the equipment. HME’s customized, 3 channel headphones. All equipment will be cleaned and charged prior to your event. Fully charged units will typically last 5 to 8 hours, however, we will provide a charging station for good measure. Transmitters (up to 3) and cables. Multiple transmitters allow you to play more than one type of music. 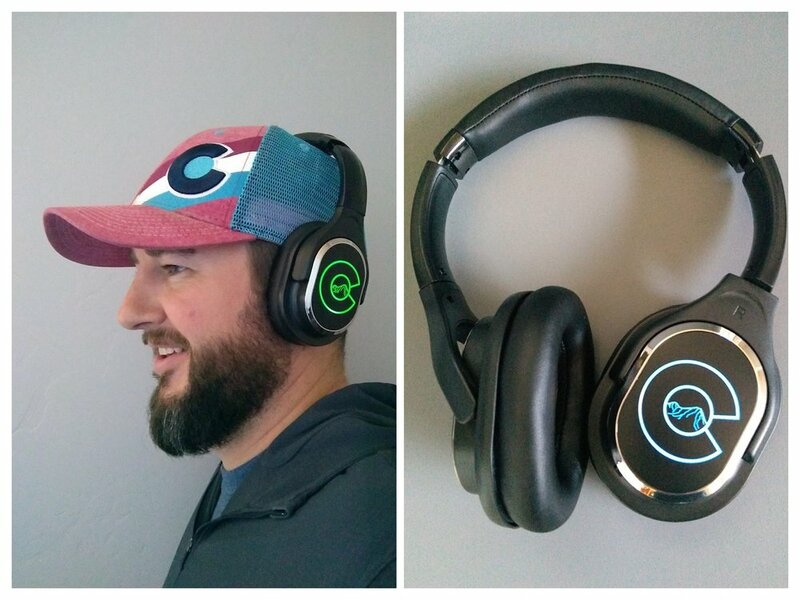 The LED lights on the headphones changes to green, blue, or red according to the channel selected by the user. Host for delivery, setup and take-down. Pricing varies based on the number of headphones rented and the duration of the event. Five hours is the standard event duration used for quotes. A deposit is required for all events. The following services are optional and have added charges: headphone check in/out management, additional rental time and DJ services. 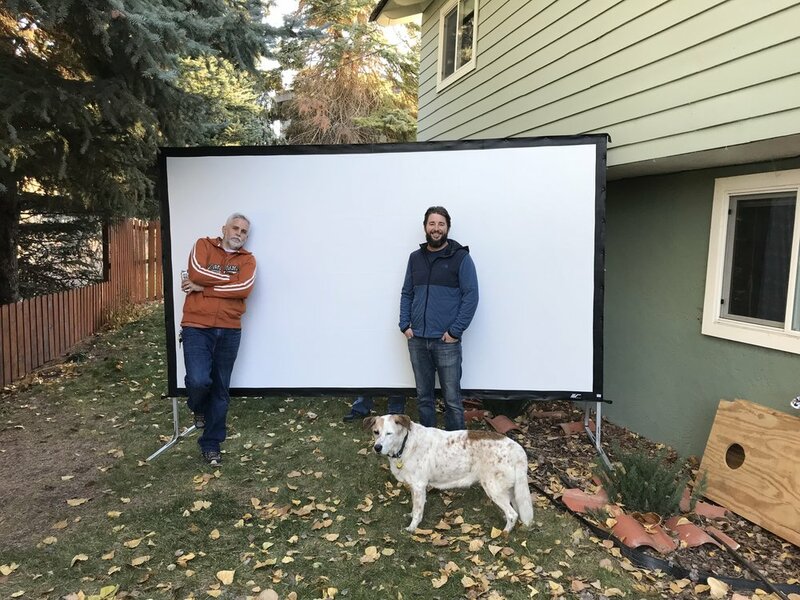 145-INCH portable screen by Elite Screens, which can be set up in, or outdoors. 1920 x 1200 HD projector by Panasonic (PT-VZ580U) and standard cables. Low light surroundings with deliver the best results, however, accommodations can be made for high light scenarios. Sound bar by Logitech and DVD player are optional, but included with the rental if needed. Pricing varies based on the event’s duration and time of the week (weekday vs. weekend). A deposit is required for all events. The following services are optional and have added charges: live events, daytime events, additional screens/projectors, license/screening management and popcorn service.